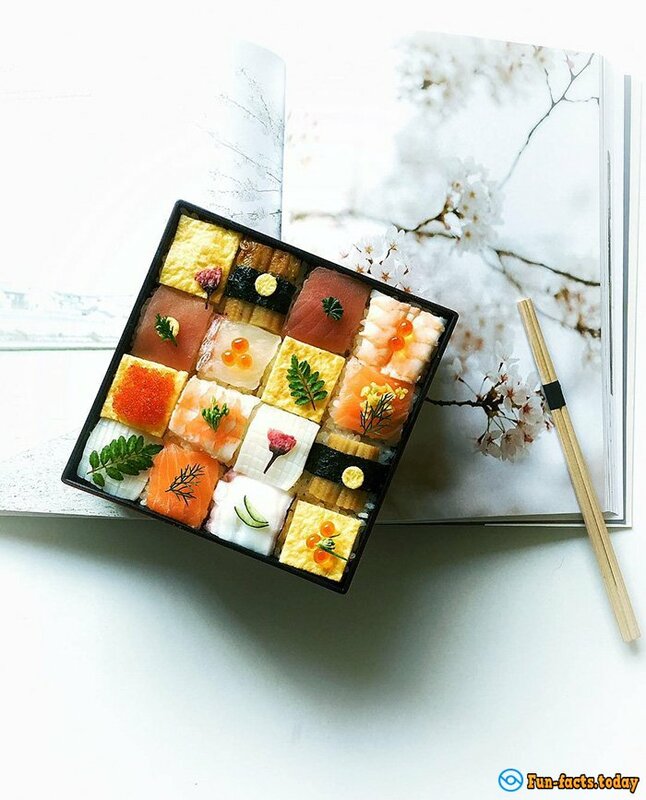 Making edible artworks from the usual dinner - this is perhaps the biggest trend in today's society. 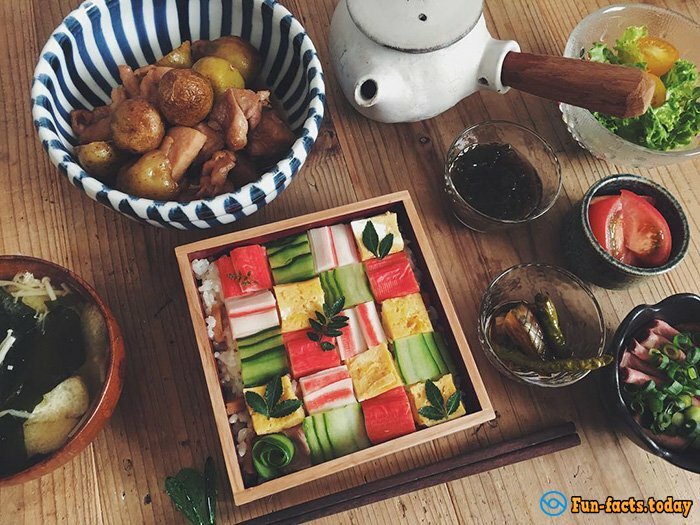 Still, a normal meal will not make you the star of social networks! It seems that the era of mashed potatoes finally sunk into oblivion. Even, conventional spaghetti sauce era can be considered as over. Food cult does not sleep, and every day it moves ahead by leaps and bounds. 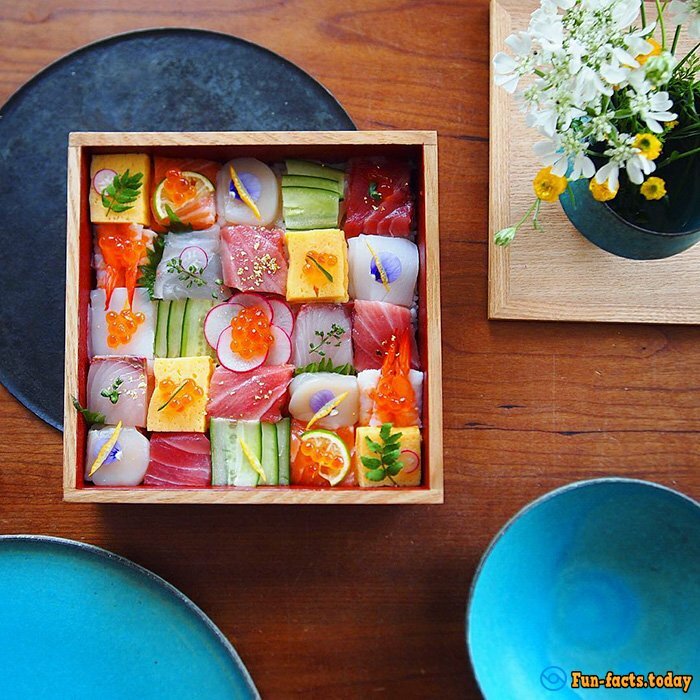 Welcome, fresh sushi trend, which now literally takes all of Japan by storm. It is called a square miracle "mosaic land" - we think it is not necessary to explain why. 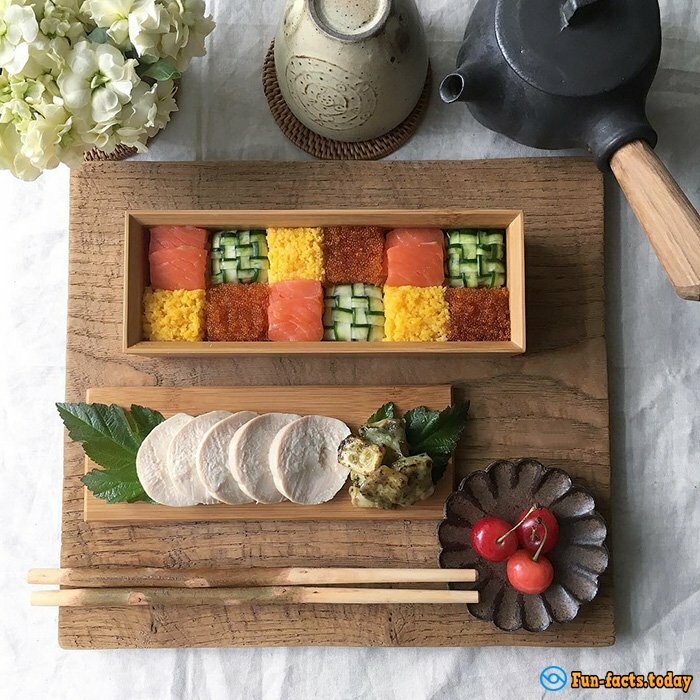 It began to appear in more and more restaurants now, «land’s mosaic » is the hottest culinary trends in Japan. 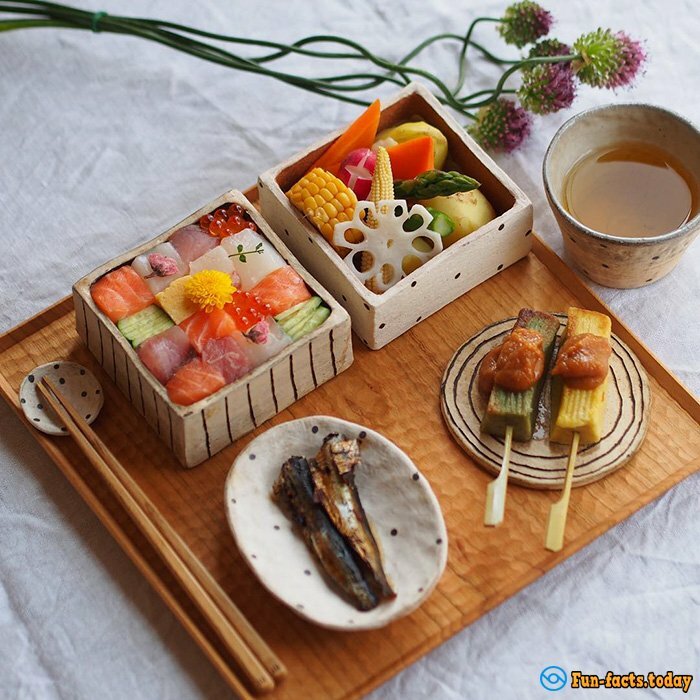 It is incredibly simple to prepare such miracle, because, in fact, it is the usual sushi, sliced and laid out according to strict rules of geometry. But we have to admit, that it looks really nice.